In 1853, Reusel born farmhand Jan Imants (1824-1909) marries Trees Vosters. He learns the skill of blacksmithing from his brother-in-law. However, Jan does not do much with this knowledge, for in 1860 he becomes a rural policeman in Reusel. Only later does he start a small forge in order to create a livelihood for his sons Jos and Willem, both trained as blacksmiths. Jan is therefore the forerunner of the Imants business family. On July 10, 1877 Jan Imants – now 53 years old – applies for permission to set up "an ordinary village forge" on Lensheuvel, behind his house. The application includes a simple site plan, which shows that the premises in question only cover ten square metres. Jos Imants (1854), eldest son of constable Jan Imants, decides to become a blacksmith early in his life. Once he has learned the tricks of the trade in Arendonk, he returns to the forge set up by his father on Lensheuvel. In 1881, Jos marries Johanna (Sjo) van Gorp and two years later, at the age of 28, he starts his own forge in the centre of the village. This can be considered as the starting point of the current Imants BV company. 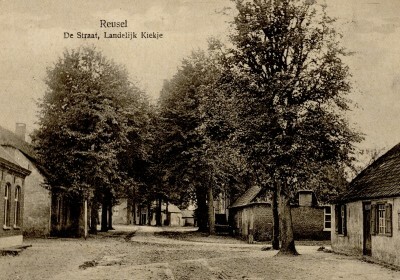 The first building of Jos Imants' blacksmith and farrier business is a long farmhouse at De Straat (current Lindestraat) in Reusel, right next to the town hall. In the picture, the Imants forge is not visible, as it is hidden behind the town hall (third building from right). Initially, Jos Imants works merely as a "traditional" blacksmith and farrier. It shoes horses, forges iron fittings for cart wheels and manufactures tools. 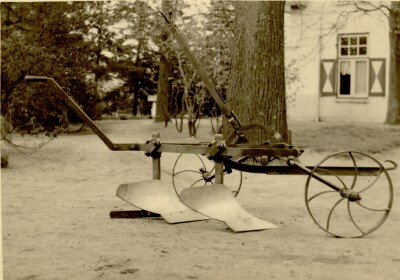 From about 1905, he concentrates on two specific manufacturing activities: spades (shovels) and ploughs. These products are stock made and then marketed. This changes Jos Imants' position. He moves up from being a blacksmith to a manufacturer and advertises it with a logo. The transition to manufacturing spades and ploughs makes an expansion of the premises necessary. 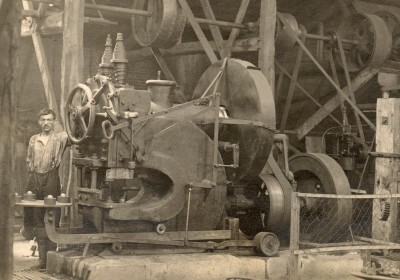 In 1904, a conversion is made in order to accommodate a 3 hp motor (for a drill, hammer and two grinding stones). 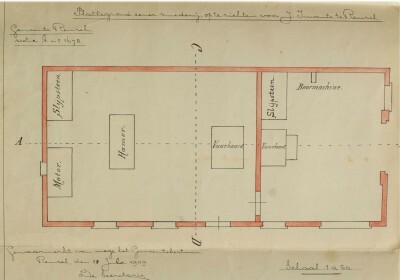 In 1909, another bigger expansion follows: the construction of a forge covering 14 by 6.5 metres (lay-out shown here) doubles the business area. In every village, a blacksmith, assisted by a son or apprentice, is an important figure who has a lot of clout. Whether he stokes the fire with the bellows, or strikes the red-hot iron on the anvil with his hammer into the desired shape, he always plays an important part. The shoeing of horses is one of the main activities of the village blacksmith. Fitting the horse with shoes prevents the hooves from wearing down. Horseshoeing is usually done in a special hoof stand, but no stand is necessary with a docile horse. Besides shoeing horses, the blacksmith's common activities involve forging iron bands placed around the wheels of a cart. Furthermore, he produces all kinds of tools such as shovels, hoes, manure hooks and axes. Jos Imants' manufacturing activities are not the only thing to thrive; his family, too, expands regularly. The following children are born into the Imants household: Jan (1882), Piet (1884), Harrie, better known as Mans (1887), Simon (1889), Johanna (1892), Maria (1893), and Sjef (1897). Jan takes over the business. Piet, Simon and Sjef also end up blacksmithing. This family photo is taken around 1915. It is the last photograph showing the entire family together: one year later Maria becomes a nun and leaves for Flores, an island of the Dutch East Indies. 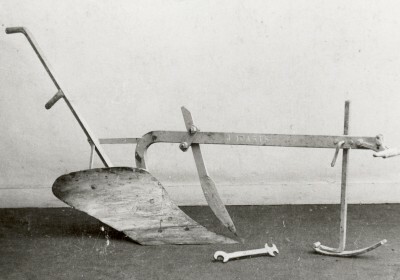 The wooden plough used in the 19th century in the Kempen region served as a model for this first plough industrially manufactured by the Imants company. Compared to the model, the mouldboard of this Imants plough is bit longer and does not present such a sharp angle. Ploughing can go deeper as a result. A coulter is also fitted to this plough making it possible to plough grassland with it as well. The distance between the bottom of the mouldboard and the beam section is also larger than in the older wooden types. The Imants plough offers therefore less resistance in the soil and the amount of weeds accumulating in the body of the plough is reduced. Imants develops this simple and inexpensive plough in close consultation with its customers. Comments from farmers about the strengths and weaknesses of the Imants plough are taken seriously. Once all the expansions at De Straat are completed, Jos Imants adopts a more radical approach in 1918. At the age of 63 he buys a hectare of heathland at Den Hoek and builds a factory (30 by 16.5 metres) to manufacture agricultural equipment. 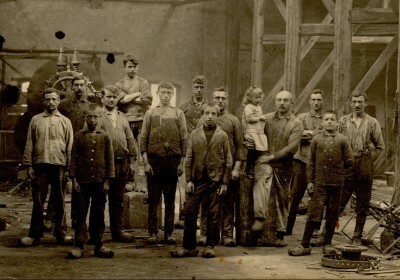 Initially, all his sons work in the business, but since Harrie chooses another trade, and Peter, Simon and Sjef set up their own forge in Retie, Hilvarenbeek and Arendonk, in 1920 the Reusel-based company ends up in the hands of Jan, the eldest son (the fifth man from the right on this picture). 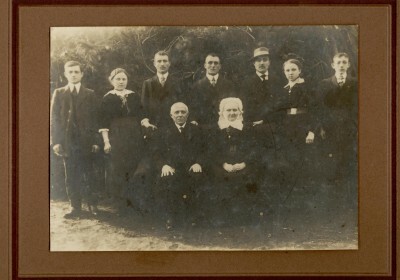 His father Jos (who dies in 1935) is fourth from the right in this photo and is holding his oldest granddaughter (Jo, 1919) in his arms. According to this picture taken around 1922, the new factory was apparently employing more than 10 workers. Even in the new Imants plant, working conditions are far from ideal: heat, dust and noise are daily nuisances in the workshop. And workers must constantly be lifting heavy material. Although a significant portion of the work involves hard manual labour, mechanisation starts to be applied to some tasks. The eccentric press is by far the largest and most expensive machine. It is used to bend the iron plates into the desired shape. Despite the dust and noise in the workplace, Imants has no difficulties finding motivated and qualified personnel. Six smiths have even celebrated their 50th anniversary with the firm. Imants ploughs are in demand far and wide outside the region. A sales system is set up to sell the ploughs through local distribution channels (usually a blacksmith). The Imants product range is described in a sales catalogue. Jos Imants has catalogues and price lists printed early. A new catalogue is published – on a different paper colour – only in the case of price changes or if the range is modified. These catalogues show that Imants can deliver at least ten different plough models from stock, including this multi-share reversible plough. With this plough, at the end of each row the farmer can return along the same furrow by tilting the plough. Jos Imants has a successful business, which gives him the opportunity to join the circle of village notables. The golden wedding of Jos Imants and Sjo van Gorp is the time to show that the firm is doing well. This anniversary is celebrated with great pump in October 1931: floats, inspired from the life of the couple, are drawn in procession through Reusel. The staff of the forge has made its own float. It features a life-size wooden replica of an Imants plough. The carriage carrying the large plough is pulled by a small pony; this is meant to convey the firm's slogan even better: "Imants ploughs are easy to pull". This group photo is taken in front of the factory gates after the party. It shows three generations of Imants managers: Jos (sixth from left), Jan (eighth from left) and Sjef (standing on the plough). During the years of German occupation, the Dutch company finds it increasingly difficult to keep production going. Part of the staff is summoned to go and work in Germany. Things become hard for Imants, as resources are allocated to certain businesses by the government. Intermediate trade, too, is facing all kinds of rules and restrictions. If a purchase licence is granted, this does not mean automatically that the item in question will actually be available. Even though he wants to, Jan Imants cannot start this order: 'No delivery, no material received'. When Sjef Imants takes over his father's company in 1945, the business premises on the Turnhoutseweg are no longer ideal. Still, economically speaking, the company is even stronger. 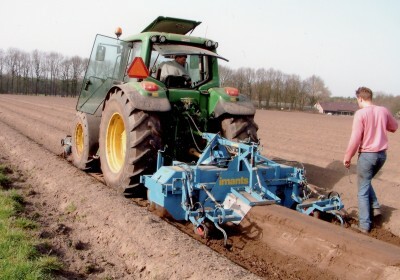 The ploughs manufactured by Imants have developed into a quality product and have a broad market. These ploughs are marketed as Pax-ploughs (Pax means peace in Latin). Shortly after World War II in the Netherlands, a new revolution is taking place that threatens the Imants plough factory: the mechanisation of agriculture. Across the country farmers trade their horse in for a tractor, so the demand for the old-fashioned horse-drawn plough hits rock bottom. For a time (too long) Sjef Imants believes that this trend is just a fad. In the 1960s, the Imants plough factory makes stocks of hundreds of horse-drawn ploughs which it cannot sell. Salvation comes just in time. Harrie van den Borne, a horticulturist from Reusel, approaches Imants to see if the company can manufacture a somewhat broader spading machine for him. The blacksmiths throw themselves wholeheartedly into this challenging task. After a few months' tinkering, testing and adjustments, they produce a spading machine with excellent performance. The critical horticulturists in Westland also express their enthusiasm. From then on, workers at the workshop on Turnhoutseweg are back in full-time employment. After a few years, the old factory building dating back to 1918 is gradually replaced by an entirely new plant. The spading machines developed in the Reusel facility appear to work very well in practice. They are not just bought by Dutch horticulturists; wine growers in Germany and France also find them very practical. Imants is increasingly becoming an export-oriented company. On average in the 1970s, for every three spading machines produced, one is sold across the border. As delivery across the border entails a lot of paperwork, Sjef Imants is quick to realize that delivery should really take place through a few permanent dealers or via a sales agency. 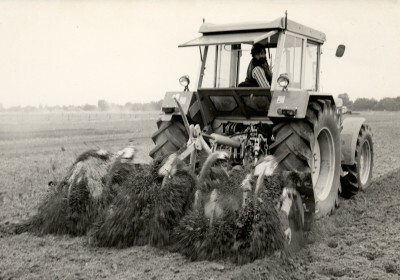 In the 1970s and 1980s, the spading machines account for two thirds to three quarters of the turnover of the Imants company. It pulls out all the stops to show that working the soil with a spading machine is more efficient than with a plough. Many tests are carried out in order to give this affirmation a scientific foundation. 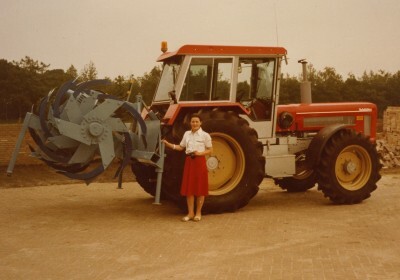 Thus, in 1972 the Wageningse Instituut voor Tuinbouwtechniek (Wageningen Institute for Horticultural Technology) issues a report on the type S1500Hd rotary spader that Imants launches on the market for 3,550 Dutch guilders. Here are some of the report’s conclusions: simple operation; good quality of work delivered; robust construction; reasonable price. The situation is even better in 1973 when Imants develops the crumbler roller, making it possible to incorporate fertilizer evenly into the ground. From then on, farmers and horticulturists show great interest in the spading machines. Sjef and Ella Imants manage the company in an unconventional way: they don't always practice business economics by the book, but certainly with a great social heart. As it becomes clear that none of their four children will take over the company, they even look into the possibility of transferring ownership of the company to the workers. However, this seems too complicated. In the early 1980s, the company is converted into a limited company and then sold. Entrepreneur Pol Suij takes over the company in stages. Imants then ceases to be a family business, but the name is maintained as it was. 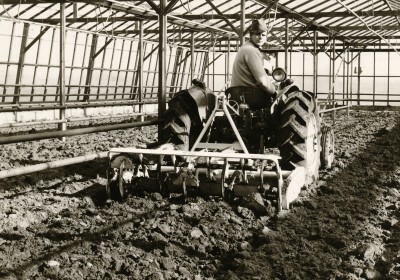 Imants has always had one product as its core business: first the plough and later the spading machine. However, demand for agricultural machinery is cyclical. In order to be less dependent on one single product and keep the staff in full-time employment, efforts are made to gain a fair share of the market by expanding the range of farm machinery. Many smaller agricultural implements are produced at the Turnhoutseweg plant. 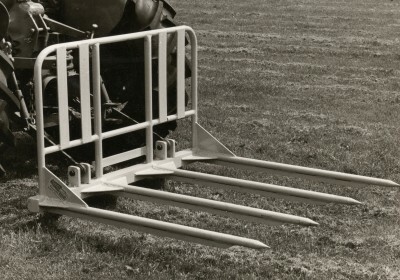 The closed loading platform, the leaf rake (with four large prongs) and the manure fork (with nine thin prongs) are some examples. The leaf rake in this photo is ready for use. The agriculture and horticulture sectors hit hard times in the 1990s. Farmers and horticulturists are forced to be cautious due to a combination of rising costs and lower revenues. Suppliers of agricultural machinery feel the pinch as sales drop sharply. Imants tries to carve itself a share of new markets. At the time, the cultivation of asparagus is experiencing strong growth. Whereas previously, asparagus cultures were characterised by a strong regional concentration, many farmers and growers in other areas with a sandy soil throw themselves into the cultivation of 'white gold'. 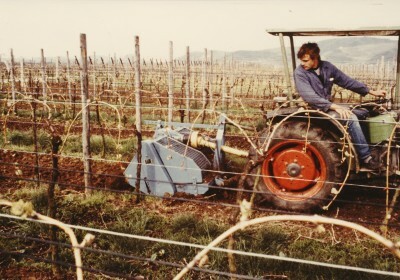 Imants focuses around 1990 on the development of several machines specially designed for asparagus cultivation: an asparagus planter, an asparagus cutter and an asparagus tunnel washer. Imants BV celebrates its 100th anniversary in 1985. On that occasion, the company is awarded the Gold Medal of the Association for the Metal and Electrical Industry FME. 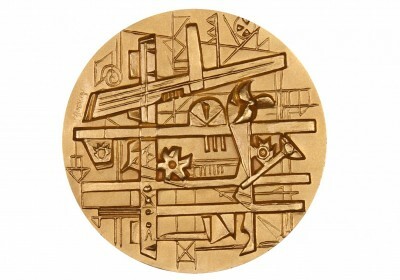 This medal was crafted by artist Jan Snoeck. The front is a stylized representation of the metal industry. Subsequent investigations in the archives show, however, that 1985 is not the right year for the company's centennial celebration. It should have been either 1977 (100 years after Jan Imants set up his forge on the Lensheuvel), or 1983 (100 years after Jos Imants established his company at De Straat). Sjef Imants is a great lover of culture and cultural history. His fame as an actor extends far beyond the Kempen region. The Imants company is also promoting actively the local cultural history. The company makes the upper floor of its office building available to the Reusel Local History Society (Heemkunde Werkgroep Reusel - HWR). On January 15, 1988 it opens the De Schob Museum. 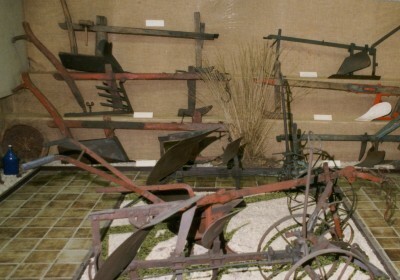 The museum displays the collection of tillage tools gathered by the HWR over the years. It contains many ploughs and hand tools which Imants used to make. Unfortunately, due to lack of space, the museum has to close in the mid 1990s. As it celebrates its 125th anniversary in 2010, Imants BV has a staff of 38 people (including management and trainees). Six employees are missing from this photo. The present management remains faithful to the founders' motto: "The men behind the machines are as important as the man behind the director's desk". This would explain partly why Imants BV is not only economically but also socially speaking a sound company.